It’s the First Day of School for both my daughter and Amanda’s daughter! They are both entering into 2nd grade this year. 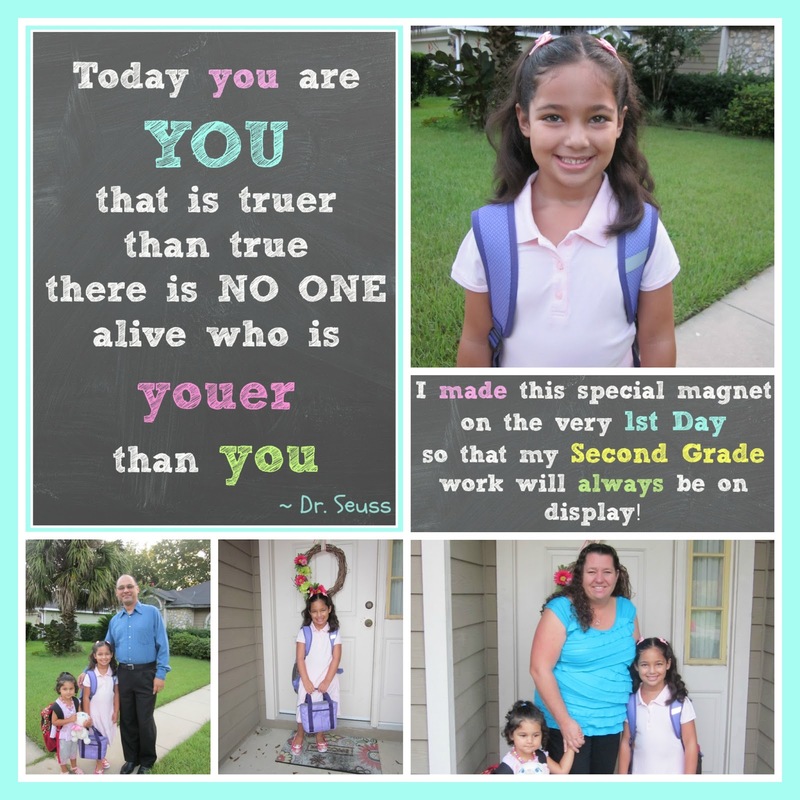 Here’s the 1st day of First Grade & 1st Day of Kindergarten from the previous years. 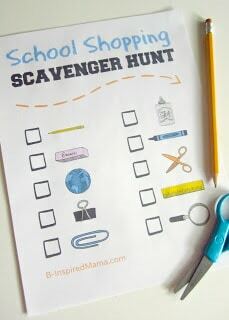 So many memories and fun tips if you are just beginning school with your child. 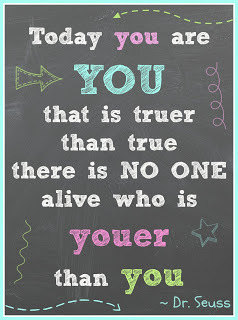 I’m sending my daughter to school with this quote from Dr. Seuss in her lunch box. She’s feeling a little bit timid about being accepted by new friends in her class and I want her to know that she’s amazing and her classmates are ever so lucky to have her in their class. When she gets home from school we’re going to complete the First Day of School Interview and then create a magnet together or as a surprise with this printable poem and a picture of her for the fridge to start the school year off . 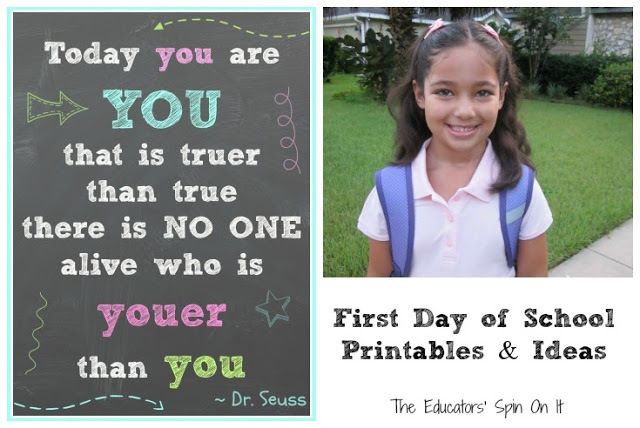 You can download & print your own Magnet label and Dr. Seuss Quote from our Teacher’s Notebook Store for .99 cents. Here’s how our magnet turned out! I know she’s going to be surprised! 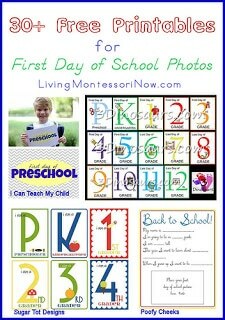 Do you do anything special on your child’s first day of school? Need some ideas? 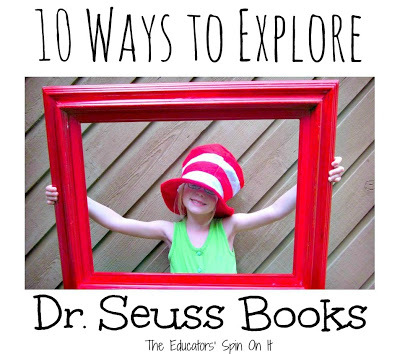 Follow our Back to School Pinterest Board ! 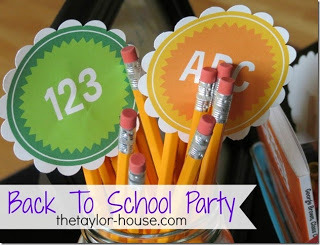 Featured Links from Last Week’s After School Party! Can’t wait to see how everyone’s First Day of School went at School. We’re looking forward to seeing what you share this week! Thank you for hosting!! I hope your daughters' first day goes well! Good luck on the first day of school. I can't wait to hear how ours went, since we have some concerns regarding class composition.